A major part of having a beautiful and healthy lawn comes with having a well-maintained lawn mower. Lawn mower maintenance can prolong the life of your lawn mower. One of the most important things you can do to help maintain that mower is to read the manual. This will have a list of recommended maintenance tasks to do annually. Then, do them. Replace the gas. If you were smart, you got rid of all the gas during the winter time. If not, use an old turkey baster to get rid of your old gas. Refill the tank with fresh fuel. Change the oil. It should be changed at the beginning of every season and then after about 25 hours’ worth of use. During the mowing season, dirt and other junk gets collected in the oil. These things can ruin your engine. Consult your manual or a professional for how to change the oil in your particular mower. Replace your air filter. An air filter is cheap and relatively easy to replace. Dirty air filters aren’t good for the engine. They’ll cause it to run poorly and lose power. If your mower is dirty or dusty, check the filter after every few mowings. Otherwise, you can check it a couple of times during mowing season. Change the spark plug. There’s a little space at the end of the plug. It’s located where the metal end bends at a 90 degree angle. Just remove the old one and add a new one. Of course, you should also check your lawn mower blades and make room for new ones. They should be replaced before the first, regular cutting. Blades need to be sharp when cutting the lawn or you will not cut the grass; you will tear it. Before removing the blade, remove the spark plug so the mower doesn’t accidentally start and cause you injury. Tilt the mower up and use a wrench that holds the blade on. Turn it counterclockwise. You can sharpen your current blade with a metal file, sharpening stone or a motorized grinder. No matter what method you use, you can pass the blade over the mechanism in the same direction each time. You can also buy new blades at a hardware or home supply store. Just make sure you’re getting the right blade for the right mower. 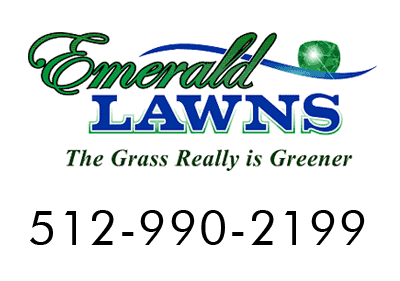 If you have trouble with your maintenance, call Emerald Lawns at 512-990-2199. 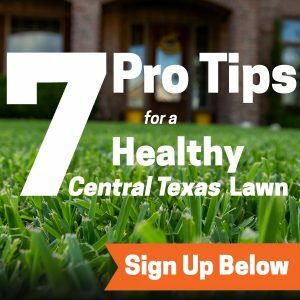 They can help by either cutting your lawn for you or troubleshooting your lawn mower.